1940 – Near Montignac, France, a collection of prehistoric cave paintings were discovered by four teenagers who stumbled upon the ancient artwork after following their dog down a narrow entrance into a cavern. The walls of the cavern were decorated with some 600 painted and drawn animals and symbols and nearly 1,500 engravings. The pictures depicted in excellent detail numerous types of animals, including horses, red deer, stags, bovines, felines, and what appear to be mythical creatures. 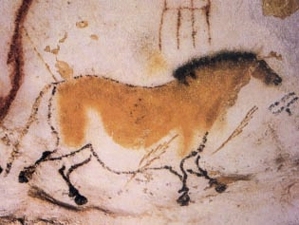 The 15,000- to 17,000-year-old paintings, consisting mostly of animal representations, are among the finest examples of art from the Upper Paleolithic period. 1862 – The Laconia, a former Cunard White Star ship put to use to transport troops, including prisoners of war, was in the South Atlantic bound for England when it encountered U-156, a German submarine. The sub attacked, sinking the troop ship and imperiling the lives of more than 2,200 passengers. But as Capt. Werner Hartenstein, the sub commander, was to learn, among those passengers were 1,500 Italians POWs. Realizing that he had just endangered the lives of so many of his fellow Axis members, he put out a call to an Italian submarine and two other German U-boats in the area to help rescue the survivors. In the meantime, one French and two British warships sped to the scene to aid in the rescue. The German subs immediately informed the Allied ships that they had surfaced for humanitarian reasons. The Allies assumed it was a trap. An American B-24 bomber, the Liberator, flying from its South Atlantic base on Ascension Island, saw the German sub and bombed it – despite the fact that Hartenstein had draped a Red Cross flag prominently on the hull of the surfaced sub. The U-156, damaged by the air attack, immediately submerged. Consequently, more than 1,400 of the Laconia‘s passengers, which included Polish guards and British crewmen, drowned. 1943 – Otto Skornezy, a colonel in the German Waffen-SS, made a daring rescue of deposed Italian dictator Benito Mussolini from captivity. Skorzeny took a contingent of his troops up in gliders and crashed them on the steep rocky slopes surrounding Campo Imperatore Hotel, a ski resort in Italy’s Gran Sasso, high in the Apennine Mountains. 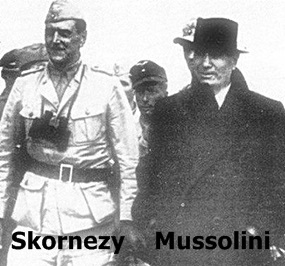 Skorzeny and his troops stormed the hotel, capturing it without a shot. After finding the room where Mussolini was held prisoner, Skorzeny entered and destroyed the transmitting equipment. Mussolini was flown to Vienna in an aircraft that had landed after the assault began. 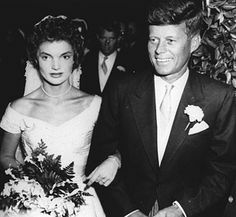 1953 – Senator John Fitzgerald Kennedy of Massachusetts married Jacqueline Lee Bouvier, a photographer for the Washington Times-Herald, at St. Mary’s Church in Newport, Rhode Island. 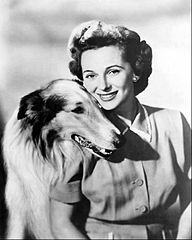 1954 – Lassie premiered on CBS. The program went through several personnel changes over the course of its 19-year run, including six different dogs playing the title role … all of them were male. 1959 – Bonanza premiered on NBC. 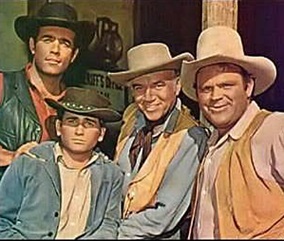 Lasting 14 seasons and 431 episodes, Bonanza was the second-longest-running western series in U.S. television history. 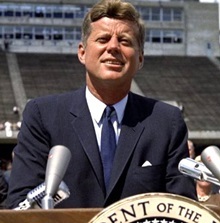 1962 – Speaking at Rice University in Houston, President John F. Kennedy reaffirmed that the U.S. would put a man on the moon by the end of the decade. On July 20, 1969, almost seven years after Kennedy’s speech, Apollo 11 landed the first manned spacecraft on the Moon. 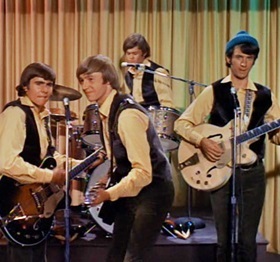 1966 – The Monkees premiered on NBC, beginning a two-year run. 1974 – In Boston, Massachusetts, opposition to court-ordered school “busing” turned violent on the opening day of classes. School buses carrying African American children were pelted with eggs, bricks and bottles. Police in combat gear fought to control angry white protesters besieging the schools. 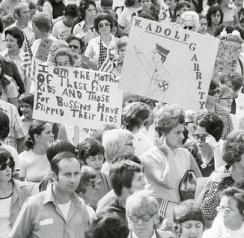 In a June 1974 ruling in the matter of Morgan v. Hennigan, Judge Wendell Arthur Garrity had stated that Boston’s de facto school segregation discriminated against black children. Thousands of students, teachers, and administrators were reassigned, based on race, to different schools, often requiring the children to be bused into unfamiliar neighborhoods. The beginning of forced busing on September 12 was met with massive protests, particularly in South Boston, the city’s main Irish-Catholic neighborhood. Protests continued unabated for months, and many parents, white and black, kept their children at home. In October, the National Guard was mobilized to enforce the federal desegregation order. Garrity became the target of death threats and at least two attempts on his life. He remained under guard 24 hours a day from 1974-78. 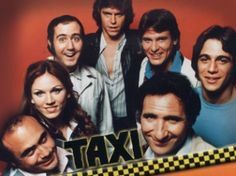 1976 – Taxi premiered on ABC. The series, which switched to NBC in 1982, would win 18 Emmy Awards (including three for Outstanding Comedy Series) during its 5-year run. 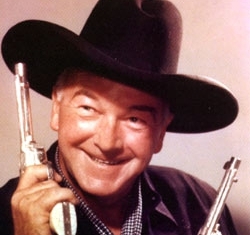 1977 – After nearly 40 years of riding across millions of American TV and movie screens, cowboy actor William Boyd, best known for his role as Hopalong Cassidy, died at the age of 77. 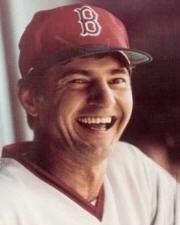 1979 – Carl Yastrzemski of the Boston Red Sox drove a single into right field for his 3,000th career hit. He became the first American League player to reach 3,000 career hits and 400 career home runs. 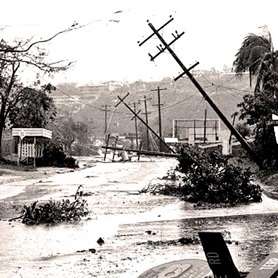 1988 – Hurricane Gilbert slammed into Jamaica. With winds reaching 175 miles per hour, the Category 5 hurricane (with a 40-mile-wide eye) covered the entire island. The tin roofs that covered most homes were no match for the winds – about 80 percent of the island’s homes were seriously damaged and approximately 500,000 of the country’s 2 million people were left homeless. Nearly every home on the island lost electricity. Worst of all, more than 200 people lost their lives. The storm went on to cause death and destruction in Mexico and spurred a batch of tornadoes in Texas. 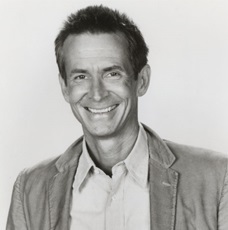 1992 – Actor Anthony Perkins (Friendly Persuasion, Fear Strikes Out, Goodbye Again, but forever remembered for playing the role of Norman Bates in Psycho) died at the age of 60 from AIDS-related pneumonia. 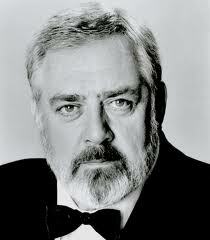 1993 – Actor Raymond Burr (A Place In The Sun, Rear Window, Perry Mason (1957-1966), Ironside (1967-1975) died of liver cancer at the age of 76. 1994 – Frank Eugene Corder, a truck driver with very limited knowledge of piloting a plane, stole a Cessna 150 and departed from Aldino Airport in Maryland while severely intoxicated. He crashed the stolen aircraft onto the South Lawn of the White House at 1:49 a.m., apparently trying to hit the building. 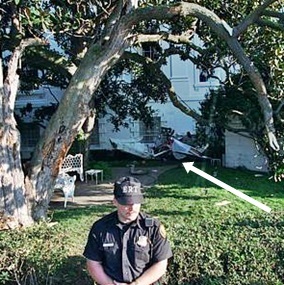 The aircraft skidded across the ground, struck a magnolia tree just west of the South Portico steps, and hit the southwest corner of the first floor of the building. Corder was killed and was the sole casualty. The crash caused a re-evaluation in security procedures around the White House, as the pilot had entered restricted airspace. Though the White House is rumored to be equipped with surface-to-air missiles, none were fired. The Secret Service has neither confirmed nor dispelled the rumor. 2002 – Former executives from Tyco International, including the CEO and CFO, were indicted in New York on charges that they stole hundreds of millions of dollars from the company. CEO Dennis Kozlowski and CFO Mark Swartz were later convicted. Each man was later sentenced to 8 1/3 years to 25 years in prison. Kozlowski, 58, was ordered to pay $170 million in fines and restitution. Swartz, 45, was ordered to pay $72 million. 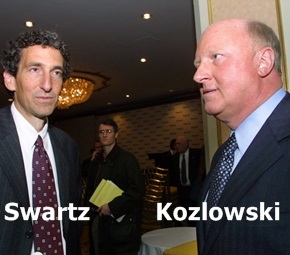 Kozlowski was released from prison in 2014; Swartz in 2015. 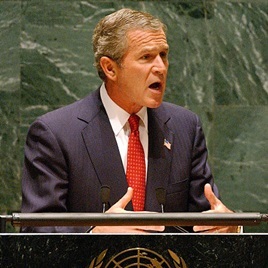 2002 – President George W. Bush told the United Nations to confront the “grave and gathering danger” of Saddam Hussein’s Iraq. Bush made it plain that America would rather move in concert with other nations, but he also made it clear that America, in the end, would act alone against Iraq if need be. 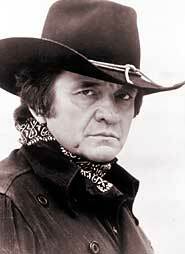 2003 – Singer Johnny Cash died of complications from diabetes at the age of 71. I Walk The Line, Ring Of Fire, Rock Island Line, A Boy Named Sue, Hurt are just a few of his many hits. Cash is an inductee in the Country Music Hall of Fame, Songwriters Hall of Fame, Rockabilly Hall of Fame, and the Rock and Roll Hall of Fame. 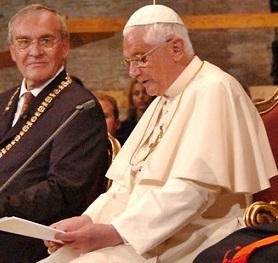 2006 – In a speech at the University of Regensburg in Germany, Pope Benedict XVI quoted from an obscure medieval text that characterized some teachings of Islam’s founder as “evil and inhuman,” unleashing a torrent of rage across the Islamic world. 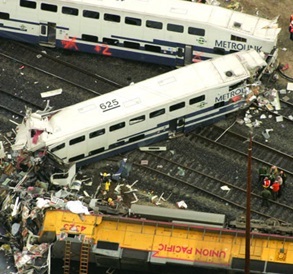 2008 – The Chatsworth train collision occurred at 4:22 p.m. PDT , when a Union Pacific freight train and a Metrolink commuter train collided head-on in the Chatsworth district of Los Angeles. There were 25 fatalities, and 135 others were injured. According to the National Transportation Safety Board which investigated the cause of the collision, the Metrolink train ran through a red signal before entering a section of single track where the opposing freight train had been given the right of way by the train dispatcher. The NTSB faulted the Metrolink train’s engineer, 46-year-old Robert M. Sanchez, for the collision, concluding that he was distracted by text messages he was sending while on duty.